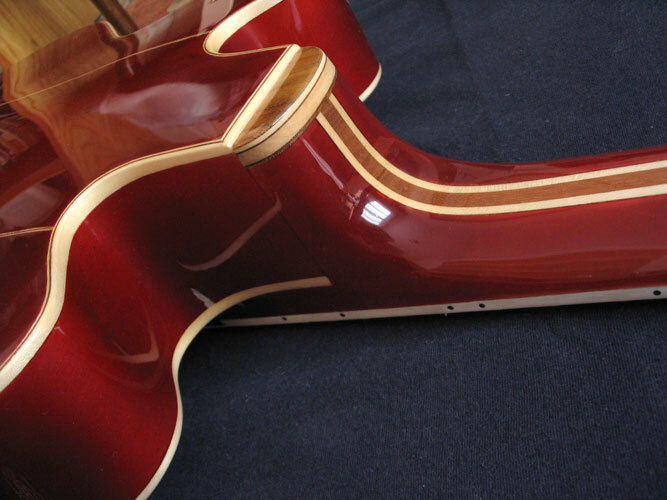 Shape: Classical arch - top guitar with body size 16"x2.5"
Soundboard: Parallel braces and narrow "F" sound holes. 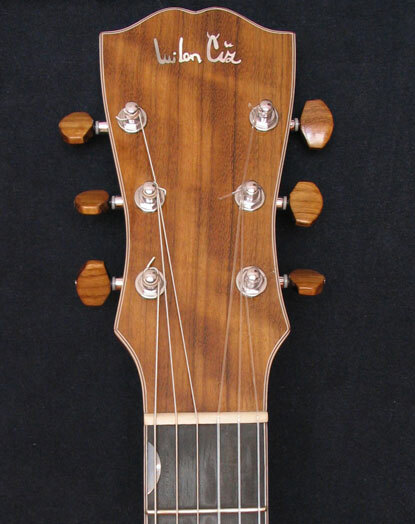 Neck: Neck is profiled in D shape with 20 "radius and small frets.A declination of the head is 14 degrees with wedge shape. Other: The tuners are set with wooden dao buttons. 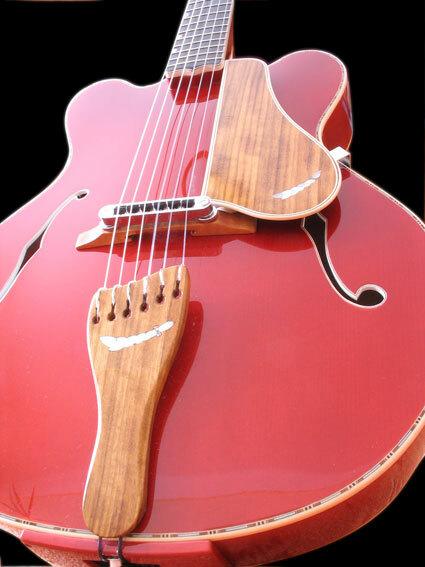 Sound: A sound is proper to instruments with nylon strings, where top and bottom register sounds balancing. Sound picking is provide by piezo- pickup LR.Baggs build in the bridge. This one is possible use also as stereo output, couse every string is controlled with the independent wire. Pre-amp is with 3- band equalizer and build in chorus. Pre - amp is placed in the tail-block and just so reached possibility build in Pre-amp without any touch-in into sides. 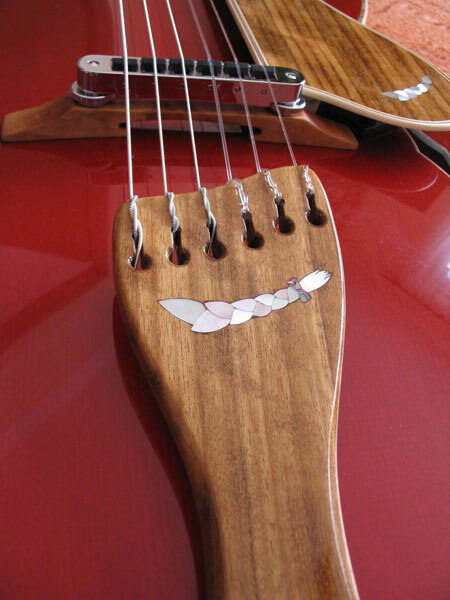 Graph-tech saddles control to provide full control prevention breaking nylon strings on bridge. Instrument is built for playing with electric sound distribution or without it.